Throngs of Radio listeners of relationship programme on Rhythm Network “ Sharing Life Issues” across Nigeria and around the world has been thrown into mourning mood after losing Charles Bruce Chukuma a.k.a Chaz- B to the cold hands of death today Saturday, November 22nd, 2014. In fact, it appears the Nigerian Showbiz industry is about to go into extinction as its members are dropping to death one after the other. Just few days back the industry lost Master Broadcaster, Opeyemi Fajemileyin. Chaz- B as he is fondly called we gathered developed fever in the wee hour of Friday, November 21st, 2014 in the course of presenting his award winning programme “ Sharing Life Issues” after which he was rushed to the hospital where he died. He was said to have complained of being tired and not being able to breathe very well and was rushed to the hospital by family and friends. At the hospital he complained to the doctor he was weak and felt something heavy on his heart. In between examination he gave up the ghost and effort by the doctors to revive him failed. Sources attribute his death to ailments defined as ‘Kidney Failure’ related which he’d been battling for a while. WE learnt that what bothers his friends and colleagues more at the moment are his kids, especially Monalisa his daughter that he loves with every fiber in him and wife who is said to have been in shock since the news was broken to her. The death of the quite loving and friendly broadcaster without doubt came as a surprise to many because as at yesterday, November 21st, he still anchor is award-winning programme. He was looking as cute and radiant as ever. Then in December (2011), Chaz-B travelled to India for kidney transplant where he spent close to six months in hospital bed. But is so disheartening that at the point he taught he had won the battle, death came calling. Below are excerpts of the testimony he shared on his near death experience and battle with kidney disease. This concept or idea in Africa is as old as time. The contradiction it has with common sense is simply bewildering. An average Africans always attribute Religion and God to everything he faces, anything that happens to him and all situations around him. My question is this: Shouldn’t we leave some happenings to the fact that it occurred naturally? Why should we always ‘spiritualize’ everything that happened to us? Else why does the word natural then exist in the first place? My aim is not to posit that Spirituality is wrong, definitely I would be the last to say a thing like that; as a matter of fact I do believe that the spiritual controls many things in the physical. However, my worry is the obnoxious idea of many Africans thinking everything that happened to them has been designed to happen, thus they have refused to take their destiny in their hands and have resigned to whatever life offers them. Perhaps that is one among many areas the developed nations have gone ahead of us. An European or American will find the reasons behind a certain cause or happening and seek ways to handle it better in the future, but an average African usually will quit his pursuit for a goal at the slightest challenge and resigned to the maxim,’ It isn’t my destiny to pursue this goal after all.’ No wonder there are much more religious people in Africa than most other continents in the world. My personal Observation while in the tertiary institution was that, often time, the leaders of Christian Fellowships, shamefully graduated with low grades, some must have even written series of carryover before graduating eventually and this was in contrast to the people they led(unbelievers inclusive), thus, the led becomes the leader in the academic thing, the Primary reason while they were in school. I do not believe this was designed to be by God, i mean God wants his children to be the head in all areas(including academics). See Deut 28:13. However, Misplacement of priorities and over 'spirituality', Perhaps believing God will read for them because they were doing his works have usually cost this fellowship Brothers negatively. This is a worrying scenario, because whether we like it or not, this has been one of the reasons why Africa is still undeveloped. Where individuals in the working age bracket show no zeal to overcome challenges that faces them, but rather carry the erroneous believe that God is behind it, is a sheer form of laziness and complacency that would never help us. It is time to rise up from our slumber Africans, not every disappointment or failure is spiritual, so instead of focusing our energy in addressing our failure the way we do; as many would rather prefer going to Prayer Mountain or churches to spend quality time praying for solution that is in their hands; After the whole prayer exercise, they continue in disappointment and frustration because they kept spiritualizing everything; whereas common sense or wisdom was what was required to address the challenge or problem. Go for wisdom my brother but don’t forget God the giver of the wisdom. Apply your hearts to wisdom, be more responsible, God will not do the part he expects you to do, that is why he gave you brains to think and solve problems within your capacity. Therefore live to his expectation. See you at the top! Terrorism has been the most devastating evils going on in our part of the world and in most other nations of the world. Combating it has however become an uphill task for most government. I do believe no mountain is insurmountable, so is the mountain, terrorism. So, What are the Causes of Terrorism and how can it be combated or surmounted? Your career is a very important aspect of your life. Most of your time as a living being would be committed to starting, growing, building and prospering with career. Who you are; your relevance in the society, your worth in person and material possessions are all the outcomes of the quality of your career. Your career ought not to start the day you graduate from the university. In actual fact either deliberately or unconsciously, a man's career begins to find expression and definition from as young as his days in grade school; that is primary school. The kind of subjects you like and find interesting may begin to paint a picture of what you'll find fulfilment doing later on in life. Also the kind of exposure you had, interactions you enjoyed, entertainment you relished and associations you maintained during your growing years play significant roles in shaping your views, perceptions, norms and ethics in dealing with life issues. Your natural gifts, talents and endowments ought to also guide your path in your choice of career in life. I am a strong believer and advocate of purpose. We are all created differently and designed to serve various purposes in this world. To this end I'll want to say that a career that would eventually be tagged successful is such that aligns with a man's personal purpose and mission in this life. Though societal and upbringing dynamics often time derail many from their actual purposes in life, more of the blame should actually go to him whom after realising he's on the wrong path in career; refuses to redirect his steps and journey in the direction of his purpose and fulfilment in life. What I'm saying is If today you find your job very boring, uninteresting and frustrating, I'm afraid the fault is entirely yours if you refuse to do something about it. May I say also at this point that there is no job type or occupation that lacks stress and challenges? How you will know it's what you're designed for is that you'll enjoy tackling the challenges and finding solutions to the various issues. You will never be tired of working at it and bringing out the beauty in every situation. I have a friend who is a passionate builder. Right from when he starts off on a new building project, he's excited. He's looking at the architectural designs, engineering designs, site plan and all, he's already very boisterous and passionate. Occasionally I visit him on site and I see the way he's moving all around the site, shouting at the artisans, getting them to work and they in return acting up, giving him attitude and some of them running away for several days with money meant for buying building materials. On several occasions he would have to fight off area boys and touts and on some occasions he would arrive on site and most of his workers will refuse to work because they want payment for a bad job they'll have to do again, at times the rains would delay the project and he may need to break and rebuild some poorly done parts of the structure, and all day long, he's on his feet, in the sun, in the rain; many times forgetting he's not had any food to eat till late afternoon. Despite all these issues and challenges, my friend cannot do any other thing than building. He loves it, he's passionate about it and I see the fulfilment and pleasure at the end of the day when he eventually places his for sale sign board on these beautiful buildings. Not everyone can actually enjoy this type of occupation or find pleasure doing it. Personally I can't, I'm not an outdoor person, I don't enjoy the sun on my face or the rains on my back, I can't chase or yell at artisans or stand in a location all day long. I'm definitely not cut out for that kind of work. But I can stand and talk for five to six hours non-stop and won't be tired, this my friend on the other hand can't talk for fifteen minutes straight. We are different in make-up, purpose and fulfilment. Today many of us are failing in career simply because we have planted ourselves in professions and work types we really don't enjoy and don't find fulfilling. We are in that job because we were probably desperate for employment or attracted by the remuneration. Hence when the attended stress and challenges of the profession starts manifesting, we can't handle it or deal with it without getting upset. Little wonder many young people today are suffering from high blood pressure due to high stress level. Many become worried, threatened and afraid each time there is a challenge on the job because they lack the natural will to take these issues in their stride and enjoy dealing with it. They force themselves to deal with it hence, getting dismayed about it every now and again. Travelling this career journey devoid of purpose and passion will only lead to frustration and failure. What you don't enjoy you don't give your best. What you're not interested in, you can't get creative with. What you're not passionate about, you don't want to expand your scope of knowledge in, and when you're laid back or poor in performance, you're not entitled to rapid promotion, relevance and wealth. I think it's critical you honestly ask yourself this important question this morning, take a look at your career journey again, are you failing or succeeding at it? 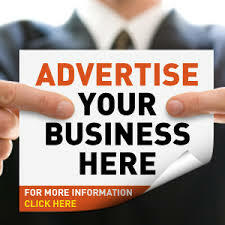 Your career prospects; are they looking better today than yesterday? Are you progressive, retrogressive or stagnant on this journey? How old are you? How far have you come? How far do you still want to go? Can I ask some critical questions this morning? Why exactly are you working where you're working today? Do you have a better reason than salary and survival? Secondly are you genuinely interested and in love with your job? Do you love what you do? Thirdly do you have a plan; a career path, a predefined route to your destination, are you on the mark, getting set to go, on your own lane or your career race it yet to start after so many years. In fact where exactly is this employment taking you to? Five years from today, ten years from today, do you have a clear mental picture of where you'll be and what you'll be doing? What exactly is your personal focus? What is your career future looking like? What is that future that you're focused squarely on that will help deal with distractions on this journey? Who do you want to be in another 10 years? What would you be called, how would you be addressed and what will be your professional title? What societal need or opportunity would your career preference be addressing in another 10 years, what aspect of human existence would you take ownership of and join in the drive to great success? Think about all these. Is somebody's mind again starting to wander in search of excuses and whom to blame for this present condition and lack of hope for an exciting, fulfilling career future? When exactly do you want to begin to take responsibility for yourself, your career and your future? Don't let your career fail; the consequence would be entirely yours to bear. Please think about this and do something today. 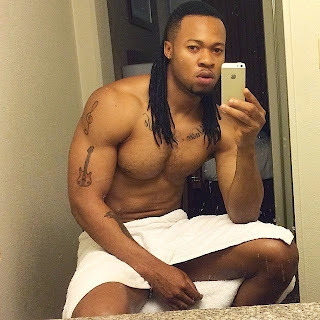 I DON'T WANT TO GET MARRIED - FLAVOUR. According to a Punch reporter, Flavour has dazed his fans by his comments while reacting to an interview recently. “If I am not doing music, I love to work out and when I do that, I am confident enough to show my body on my social media accounts. If you call me a s*x symbol, you are not lying. I feel it is a good thing for people to believe in themselves and be confident. I believe in hard work and it shows in my music and the way I work out at the gym. I exercise a lot and take out time to keep fit and maintain my physique. If you are asked how much you are worth, what will be your response? I once visited a local store where they sell ceramics etc. a conversation ensued between a certain young woman and the seller of a set of tea cups. The initial price tag on it was N1000 but the young woman was desperately trying to pay the seller N600 which she refused bluntly. After so much Haggling, surprisingly the seller crossed the N1000 price tag written on the tea cups and inscribed a new price of N1500 saying that the young woman had made him see the real value of the set of tea cups. The buyer seeing what the seller just did was shocked, started complaining bitterly, and sulked, still the seller stood his ground. At this point, I expect the woman to walk away but she paid the seller’s new price much to my surprise. This incident taught me something: a commodity’s worth is not determined by the estimates of an intending buyer but rather the owner of the goods. Applying this in real life situation we can deduce that; the way we see ourselves determine a lot how people see us. In order words, your projected self worth determines the deal you get out of life. If you project yourself poorly, people will trample on you and vice versa. Never see your self as inconsequential. Have a sense of confidence in all you do. Your dressing, physical posture, eye contact, voice and body language should always convey confidence. Technology advancement and rise in the use of social media gives young people no option than to promote themselves and take ownership of their careers in ways that previous generations couldn’t have imagined. 1. Your job description is just the beginning: in today’s workplace, if you must succeed, you will have to do a lot more than what you got hired to do. Your job description is just a scratch on the surface of what you should be doing. Always be on the lookout for new projects and collaborations with other groups, and do as much training and development as possible. 3. You’re going to need a lot of skills you probably don’t have right now: A recent U.S Department of Education study shows that companies are having trouble finding and retaining the right talent. Soft(interpersonal) skills have become more important than hard(technical) skills. It’s never been easier to acquire hard skills –and those skills will only get you so far. Companies are looking for leadership, organizational, teamwork, listening, and coaching skills. 4. Your reputation is the single greatest asset you have: Titles might be good for your ego, but in the grand scheme of things what really matters is what you’re known for, the projects you’re part of, how much people you trust, whom you know, who knows about you, and the aura you give off to people around you. Sure, what you do is important. But what others think you do can be just as important if not more so. If you build a strong reputation, the money and opportunities will find you. 5. Your personal life is now public: The 15 seconds it takes you to tweet about how much you hate your boss or to post a pic of you passed out with a drink in your hand could ruin your career forever. Even the littlest things – how you behave, dress, your online presence, body language, and whom you associate with can help build your brand or tear it to the ground. 6. You need to build a positive presence in new media: There are plenty of benefits to new media and the convergence between your personal and private lives. Your online social networks enable you to connect with people who have interests similar to yours. Your online presence can help you build your reputation, and the educational opportunities available online can help you dig deeper into the things you’re passionate about and want to be an expert in. 7. You’ll need to work with people from different generations: There are now four distinct generations in the workforce: Gen Z(interns), Gen Y(employees), Gen X(managers), and baby boomers(executives). Each of these generations was raised in a different period of time, has a different view of the workplace, and communicates differently. By learning how to manage relationships with those in other generations, you will be more successful. 8. Your boss’s career comes first: If your Manager is unsuccessful, his frustrations will undoubtedly rub off on you, and the chances you’ll ever get a promotion are pretty slim. But if you support your managers’ career, make his life easier, and earn his trust, he’ll take you with him as he climbs the corporate ladder- even if that means going to another company. 9. The one with the most connections wins: we have moved from an information economy to a social one.It’s less about what you know( you can find out just about anything within seconds with a simple Google search), and more about whether you can work with other people to solve problems. 10. Remember the rule of one: When it comes to getting a job, Starting a business, finding someone to marry, or just about anything else, all it takes is one person to change your life for the better. People may be saying no all around you. But as long as one person says yes, you are on your way. 11. You are the future: By 2025, 75% of the global workforce will be Gen Y. that means that even though you may be early in your career, in the not too distant future, you’ll be at the forefront. Right now, you have to position yourself to take one of these major leadership roles when the workforce shifts and older generations retire. 13. Hours are out, accomplishments are in: If you want your job and move up, stop thinking that you have to put in a ridiculous numbers of hours per week. Instead, realize your value, deliver on it, measure your successes, and then promote yourself. 14. Your career is in your hands, not your employer’s: No matter what they say, companies are looking out for themselves. And while you should definitely try to make your company successful, you need to make sure that you’re getting something out of the deal, too. If you aren’t learning and growing, you aren’t benefitting anymore, and that’s an issue that you will have to resolve. Don’t rely on anything or anyone: be accountable for your own career, and take charge of your own life. Nigeria politicians are at it again, this time it is an ugly incident emanating from members of the house of representatives. The Speaker of the house of rep, Mr. Tambuwal was barred from the assembly by security operatives on the first sitting of the House since he defected from the ruling Peoples Democratic Party, PDP, to the All Progressives Congress, APC. 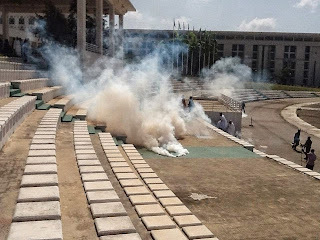 Police fired teargas to stop mainly opposition lawmakers, including Mr. Tambuwal, from accessing the assembly, before the speaker’s loyalists smuggled him through security barriers into the House of Representatives chamber. Meanwhile, The All Progressives Congress, APC, has accused the police of acting on the directives of President Goodluck Jonathan to pave the way for Mr. Tambuwal’s removal as speaker. In a statement hours after the attack, police said the action was to prevent the breakdown of law and order at the National Assembly and that its personnel had “the duty to restore order and normalcy, using lawful means”. The statement accused Mr. Tambuwal of arriving with a crowd, assaulting the police and violating a security ring. Recall that the Nigeria police was the first government establishment to move against Mr. Tambuwal after he defected to the APC on October 28. On October 29, the police withdrew the speaker’s security aides and announced that Mr. Tambuwal was no longer the speaker. In the statement issued by Mr. Ojukwu Thursday, the police did not refer to Mr. Tambuwal as the speaker of the House of Representatives. “Following an intelligence report of a likely invasion of the House of Representatives by hoodlums and thugs, the Nigeria Police Force promptly deployed its personnel to the premises to prevent a breakdown of law and order. Consequently, the Police condoned the area and began screening of all members and visitors alike. In the course of this lawful exercise, Alh. Aminu Tambuwal CFR, arrived the venue with a motley crowd, who broke the cordon, assaulted the Police and evaded due process and the Police had the duty to restore order and normalcy, using lawful means. The IGP seizes this medium to warn all political actors and their followers to respect constituted authority and due process and to desist from the use of thugs to pursue their agenda. The Nigeria Police shall continually apply all lawful means to prevent a breakdown of law and order in all segments of the society and shall apply the full weight of the law on any political actor who violates the peace and security of the nation. However, the Senate President, David Mark, has announced an immediate closure of the National Assembly following the chaos at the national assembly yesterday. The national assembly will now reopen nextweek tuesday Nov 25th. Nigeria’s reigning best athlete, Blessing Okagbare wedded her hubby November 8th 2014 and in a recent interview with the New Telegraph, here's what she said about having babies immediately. How customers feel about the people that serve or sell them is a key factor in winning them. In any business, the people who sell or deal directly with the customers can make or break the business. Infact the more service oriented the business is, the more crucial it becomes to have front-line people who know how to sell themselves. Selling yourself to a customer( or anyone else) is an art that must be tailored to your own personality, the customer, and the situation. The Strategy to employ in doing this is Help them to love themselves better(promote their self image) and they will love you. Each of us has a self image that serves as our main contact with reality, and its preservation and confirmation is the single greatest reason that we do the things we do. Believe that you are shy, friendly, Lazy, important, aggressive etc and you will tend to behave that way. And if you want to make people sad, mad or scared, just threaten their self image by saying something negative about them: either their works, looks, dressing, behavior etc. Every customer you meet wants to have his self image confirmed and boosted. So focus on building the customer’s self image and you’re well on your way to selling yourself. 1 . . Develop a genuine interest in and admiration for your customers: get them to talk about themselves and listen with undivided attention. People are more likely to buy when they’re talking than when you are talking. 2.. Recognize and praise people for what they want to be praised for: With a little observation and common sense it’s easy to spot what people want to be complimented for. If you notice your customer is wearing a new dress, or jewellery or has a new hair style etc, acknowledge and compliment it. However, the compliments must be sincere and specific. Most importantly, if possible find a way to compliment the customer for something that results from having used your products. 4.. Use humor where its relevant and appropriate: Laughter is a fantastic influence tool. The most effective humor is brief and self-effacing. The shorter the story the greater the impact; and telling a joke on yourself tells others that you don’t take yourself too seriously and have the self confidence to laugh at yourself. This builds rapport. 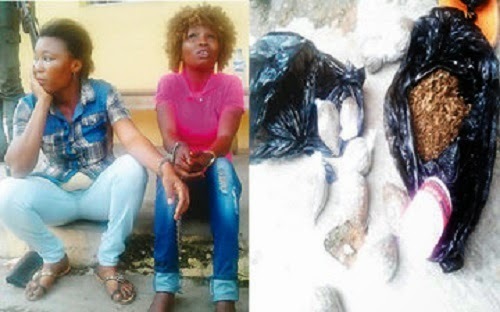 Officers of the Nigerian Prison Services on Wednesday caught two sisters, Shade Oyetobi and Atinuke Adebanwo, while attempting to smuggle 11 wraps of marijuana into the Ikeja Lagos State High Court holding cell for awaiting trial inmates. Our correspondent gathered that the culprits, who claimed to be orphans, brought in the illegal substance for their brother, Babatunde Oyetobi, an awaiting trial inmate. According to them, Babatunde, who was arrested during a street fight, had been in prison for about two years. The two sisters, who were handcuffed together, said they had contributed MONEY to hire a lawyer for their brother, adding that they had been coming to court regularly to stand by him since his trial started. Twenty-four-year-old Shade, who said she was a hairdresser, confessed that the marijuna wraps were handed over to her by one, Jamiu, a friend of Babatunde. She said, “Actually, it was my brother’s friend, Jamiu, who sells watches that gave the stuff to me this morning for my brother. 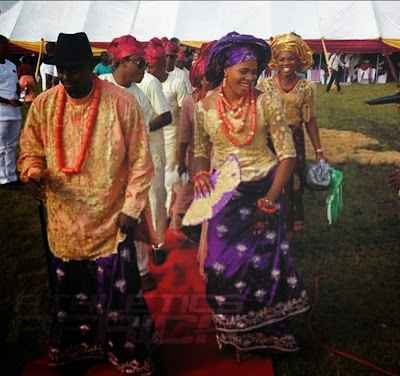 Adebanwo, married with three children, said she was not privy to the arrangement. Crying profusely, the 32-year-old lamented that her sister had put her in trouble. Facing her sister, Adebanwo said, “Oh my God, I don’t know that it is a crime to have the two of you as my siblings. Is it a crime to stand by you after the death of our parents? Speaking to our correspondent, the warder, Mr. A. R. Muhammed, who arrested the sisters, said the marijuana wraps were hid inside a black nylon bag and concealed with a pair of slippers. Muhammad said, “We demanded to know their mission as they were coming in and they told us they wanted to see their brother. We asked to see what was in the black polythene bag, but they said it was a pair of slippers. When we demanded to see the slippers, the younger sister became guarded.